Learn step by step how to prepare a full, healthy and delicious three course Taiwanese meal. Our Traditional Market Tour & Cooking Class is an immersive experience designed to give you a unique understanding and appreciation of Taiwanese cuisine. First you’ll become familiar with both raw ingredients and culinary culture by observing how local chefs interact with food in a traditional market setting. Afterwards, we'll head to the myTaiwantour Kitchen, where you'll learn step by step how to prepare a full, healthy and delicious three course Taiwanese meal. Finally, you’ll dine on the meal you’ve prepared yourself. Please let us know if you have any allergies or dietary restrictions when booking this tour. Tour requires a minimum of 2 guests. We will do our best to accommodate individual travelers by placing them on tours with other guests. In the event an individual traveler cannot be so accommodated, guest will be offered an alternative tour of equal value or full refund. Once the booking is confirmed, no payment will be refunded for cancellation within 48 hours before class. 50% of the full payment will be refunded for cancellation more than 48 hours before class. 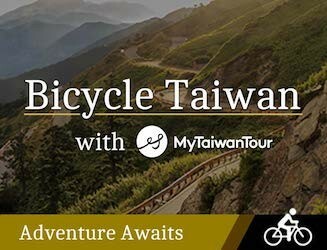 My husband and I visited Taiwan on our honeymoon and found this class on TripAdvisor, it was a wonderful experience! We learned how to make dumplings, a delicious cucumber dish, a melon dish, hot and sour soup, and a Taiwanese dessert. Peggy and Dicky were great hosts who welcomed us into their home and even gave us a map and directions to a couple of restaurants near our hotel for our last day. I would recommend this class to anyone visiting Taipei! Jodie and I spent a rainy afternoon together. I had a great time and we made some very tasty dumplings. We missed out on the walk because of the rain. I really would have liked that . She is in a great location.. I would definitely take a cab! !